We all need to find our GROW opportunity and if you like to sing, come experience the joy of music, scripture and fellowship as we lead our congregation in worship each week. Choose from one of our musical organizations appropriate for you, with no audition necessary; just a heart to SERVE. Our worship choir leads in worship most Sundays, through calls to worship, anthems, and leading congregational singing. During Advent this year, we are teaming up with the choir at Colonial Presbyterian Church to present a cantata celebrating the birth of Christ. The worship choir rehearses following worship each Sunday. 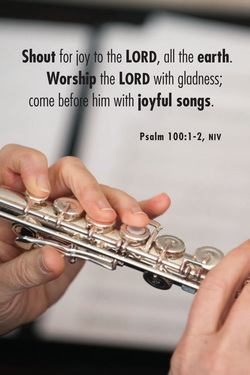 Our JAM Praise Team is made up of children, grades 2-5, who are learning to lead worship through song and word. They rehearse on Sundays at 4:30 p.m.